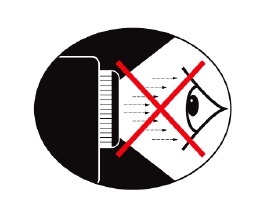 Protect your eyesight when using DLP projectors. DLP projectors offer amazing visuals with crisp colours and clear images. However, there are some associated health risks particularly with your eyesight. Health and safety experts recommend no more then 1/10 of a seconds direct exposure to the high intensity lamps used with projectors. Looking directly into the lamp for even a few second of direct exposure can damage your retinas. Fortunately, most of us will experience an eye aversion response, a reflex that makes us turn away from the light automatically to protect our eyesight. There is still the danger of peripheral overexposure so it is important to know how to position both yourself and the projector to minimize the danger to your eyesight. Never stare directly into the projector’s beam of light. Keep your back to the light beam as much as possible. Use a laser pointer to highlight key areas on your presentation and avoid stepping into the beam. Make sure your screen is out of sight line with audience so they are NOT looking into the beam while watching the presentation. Ceiling mounted projector minimize the audience staring into the beam. Reducing the ambient lighting will reduce the amount of lamp power needed and lower the intensity of the beam. Avoid using the setting for 1500 Lumen and higher. Keep some ambient light in the room as this helps eye to eye contact and helps the eyes adjust. For use in the classroom, consider investing in a close-coupled projector that sits close to the screen eliminating any light leakage. When using an interactive whiteboard be sure to look at the board and not into the beam from the projector. Restore natural daylight as soon as the interactive whiteboard session is completed. Be sure to install original equipment manufactured (OEM) projector lamps that are installed with proper UV reflectors to protect your eyesight. Knock-off, generic projector lamps don’t offer this protection and can actually damage your eyesight.